Connecticut Distributors Inc. (CDI), founded in 1933, is one of the largest wine and spirits distributors in the state, handling more than 3,000 on-premise and 1,125 off-premise accounts and employing approximately 300 associates. CDI reaches every corner of the state, utilizes the most innovative technology and employs the industry’s most knowledgeable salesforce to represent its world class brands. CDI aims to be the distributor of choice for our suppliers, customers, associates, industry and community. CDI's leadership team supports the company's core operations and strategic vision. 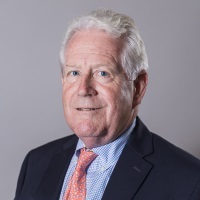 John Parke, president of Connecticut Distributors Inc. (CDI), oversees every aspect of management for the company, from developing and implementing its annual business plan to developing its long-term corporate strategies. 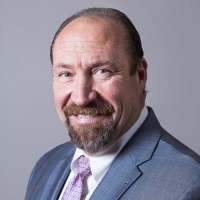 John transferred to CDI in April 2016 from the Breakthru Beverage Group (BBG), based in New York, where he held the position of vice president, business development, since 2013, focusing on building sales of all Gallo brands across all markets. Prior to joining BBG, John worked for E&J Gallo for 33 years, where he held multiple sales leadership positions. Paul joined Connecticut Distributors in 2013 as Division Manager – Anchor Division. In January 2017, Paul was promoted to Director of Business Development where he and his team work to find efficiencies and drive new processes in five distinct areas: Supplier Management, Business Intelligence, Pricing & Incentives, Trade Marketing and Goal Model & Capabilities. Business Development works proactively to capitalize on emerging trends and equip our sales teams with the most updated information available. We manage and execute all programming and pricing plans while creating innovative go to market strategies and provide insights to our customers and our suppliers. 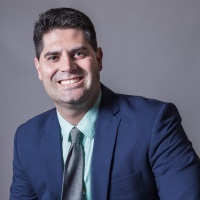 Prior to joining CDI, Paul worked as the on premise state manager for the E&J Gallo Winery in Connecticut, and as a retail sales representative and field sales manager at CDI’s affiliate in Ft. Lauderdale, Florida. Michael Evans joined CDI in 2003 after spending six years with a local competing distributor. His entree into the wine-and-spirits sales industry began with Georgia Crown Distributors in Atlanta in 1994. In addition to having a passion for the industry and boundless energy, Michael brings a strong sense of leadership, vision and mission to the On-Premise Division at CDI. As the on-premise division manager, Michael achieves company sales and marketing and financial goals by organizing, directing, motivating, and developing a team of field sales managers and sales representatives. Duties include coaching associates and cultivating key accounts. With 20 years of industry experience, Michael is the driving force in developing and nurturing relationships as well as identifying future growth opportunities. Michael holds a Bachelor of Arts from Salve Regina University in Newport, Rhode Island. 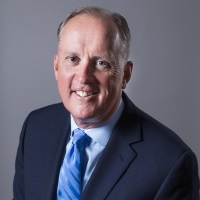 Steve’s leadership journey began with owning his own package store, where he supervised and managed all operations of the business, including performance management of employees. In 2000, he then joined Gallo Wine Merchants as a sales representative, where he built strong rapport with customers while managing approximately 70 accounts. Steve was then promoted in 2001 to a district/spirit sales manager, where he again led a team, and trained and developed his sales force while growing the Gallo portfolio. Following the Gallo acquisition in 2006, Steve joined CDI as a field sales manager. He has operated in this capacity for both divisions and has demonstrated consistency in terms of building, developing and growing a strong team and delivering strong sales results. Steve holds a Bachelor of Science degree from Long Island University/Southampton College. He brings to the position a wealth of sales, industry and leadership experience. Jon Terry joined CDI in February 2017 as the Anchor Division Sales Manager, specializing in growing the E&J Gallo portfolio of wines and spirits. Jon leads the Anchor Division sales force in executing monthly sales priorities and attaining annual division goals. In conjunction with the business department, he develops and executes new item launch plans, pricing strategies and promotional platforms. From 2014 to January 2017, Jon worked for Pine State Beverage in ME as the Off-Premise Wine Sales Manager, where he had responsibilities similar to those at CDI. Prior to Pine State, Jon was the CT Off-Premise State Manager from 2010 - 2014 for the E&J Gallo Winery, where he was responsible for working with distributor sales organizations to develop profitable beverage programs for off-premise licensees. Jon began his career with E&J Gallo in NH as an off-premise sales representative in the Nashua area in 2008. He became a NH field sales manager in 2009. Jon received his Bachelor of Science in Business Marketing from Indiana University and holds the CSW and CSS industry certifications. Maura joined Connecticut Distributors Inc. in December 2011 as Human Resources Director. 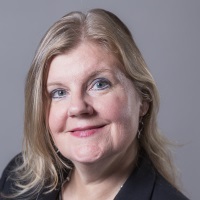 She leads both HR and the Learning and Development teams and specializes in talent management, organizational development, employee relations, HR policy and compliance, performance management, and training. Prior to joining CDI, Maura worked for Diageo for 18 years, where she gained global experience and knowledge in HR shared services. While working at Diageo, Maura was exposed to the evolution of the supplier/distributor transformation over the years, and was thrilled when she had an opportunity to join CDI. Chris Sperling joined CDI in 2008 after fifteen years in the restaurant industry. As the Division Manager of New England and ADS Division, Chris helps achieve company sales goals by organizing, directing and motivating our new england and account development specialists. Duties include coaching associates, coordinating, executing events and cultivating key accounts. Chris was an instrumental part in the restructure of our sales organization in 2014 and 2018. Chris’s career began in restaurants and commercial kitchens, where he supervised and managed all areas of operations. Chris brings a strong sense of leadership and his lead-by-example approach and has inspired others on the Account Development Team to develop their careers within CDI. He holds a Bachelor of Culinary Arts from Johnson and Wales University in Providence, Rhode Island. 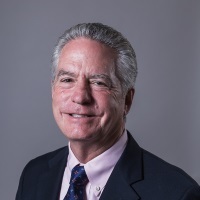 Bill serves as Connecticut Distributors Director of Business Logistics. In this role, Bill leads the company's day to day operations managing the company’s Warehouse and Distribution, Information Technology, Merchandising, Compliance and Government Relations. Bill has been with the company for 9 years working in various sales roles most recently as the Compliance Manger, where he was responsible for the company’s Compliance and Government Relations platform. Prior to joining CDI, Bill was an Officer with US Customs and Border Protection based in Oakland, California. Bill received a Bachelor of Arts degree in Criminology from Central Connecticut State University. 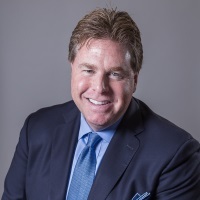 Stephen has more than 30 years of experience with Connecticut Distributors Inc. and has spent most of his tenure managing programming, pricing and executing goals to standard for all brands. Today, he works on supplier initiatives including product launches, identifying market opportunities and forecasting inventory requirements. Stephen also collaborates closely with sales to ensure CDI overachieves on delivering supplier goals. He holds a Bachelor of Science in economics from Fairfield University. 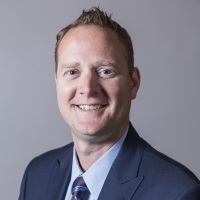 Jason joined Connecticut Distributors Inc. in April 2014 as controller. 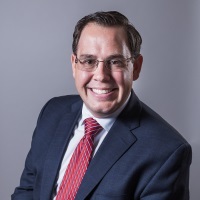 Before joining Connecticut Distributors Inc., he began his career with The Charmer Sunbelt Group in May 2007 as a senior accountant at our corporate office in Maryland, where he focused on corporate financial consolidation and streamlining processes. He transitioned to SAP ERP specialist, in which he leveraged his financial background to configure and improve Charmer Sunbelt’s SAP FI module. In 2012, Jason joined Reliable Churchill, a Charmer Sunbelt Group affiliate, where he helped drive sales through business and data analytics. He currently holds a bachelor’s degree in economics from the University of Colorado at Boulder. Joe has been with the company for 16 years, working at The Charmer Sunbelt Group's Arizona, Maryland and Florida operations. 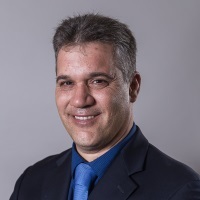 In his current role as director of operations for CDI, he directs and coordinates warehouse and distribution activities in conjunction with warehouse managers. 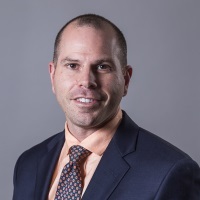 He monitors velocity on all items and ensures the correct placement for maximum benefit to Connecticut Distributors Inc. Joe oversees the purchase and lease of all warehouse and operational equipment. Wayne has 43 years of experience with Connecticut Distributors Inc., beginning his career with the company as a driver and warehouse associate. He was promoted through the ranks, including holding the position of warehouse manager, until becoming CDI’s operations manager. As an operations manager, Wayne directs and coordinates the activities of all workers engaged in distributing, moving, and storing wines and spirits. He also is responsible for the maintenance of CDI’s office and warehouse space. 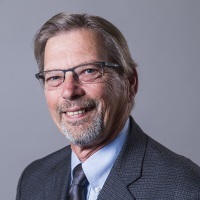 Walter has 30 years of experience with Connecticut Distributors Inc. and has had many responsibilities, from credit manager, pricing manager, director of operations, and MIS director, to his current title. In his many roles, Walter oversees and maintains all computer-related software and hardware issues and needs. His priorities are directed towards managerial information systems and functional operations to determine scope and priorities of projects. Walter holds a Bachelor of Science degree in accounting from Quinnipiac College. 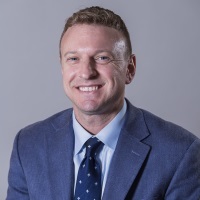 Jeff Kasiewicz has been with Connecticut Distributors Inc. for 27 years, 25 of which in the position of purchasing manager. 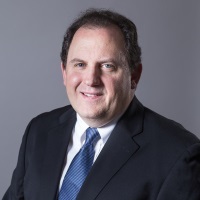 In this role, he manages a team of purchasers who deal with the logistics of bringing over 4,000 wine and spirit SKUs to Connecticut. Working with ocean and motor carriers and railroads, his team buys directly from over 130 suppliers from all over the world. He works very closely with other CDI departments to ensure sufficient and efficient inventory levels. Jeff holds a Bachelor of Science degree in marketing from the University of Bridgeport. Once you have acquired an active or pending liquor license, your account is automatically created. To verify your account and receive your assigned Sales Consultant call Greg Altieri at 860.604.2235.